Sly, adaptable and cunning, the common raccoon (Procyon lotor) likely ranks among the most recognizable animals in the United States. 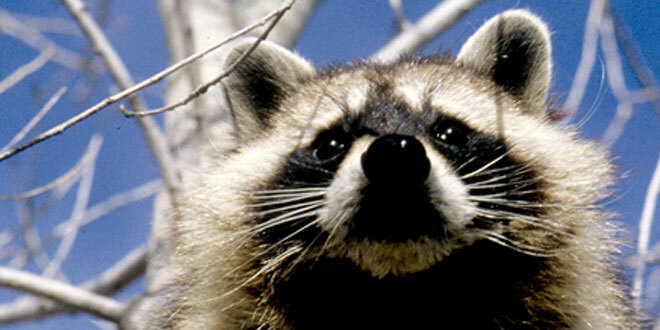 Probably the most distinctive feature is the black mask around a raccoon’s eyes, earning it the nickname “bandit.” This unique characteristic is believed to serve a purpose. “Much like an athlete wearing eye-black below the eyes, the mask may cut down on glare for better night vision,” said Jim Stuart, non-game mammal biologist with the New Mexico Department of Game and Fish. 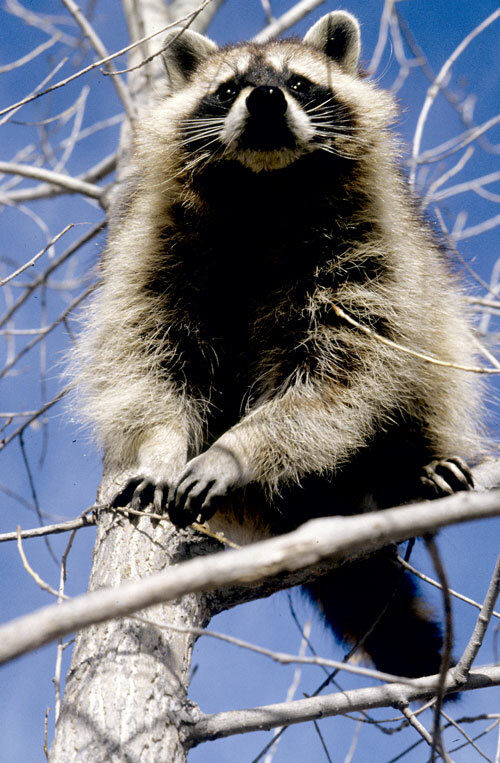 The raccoon, a protected furbearer in New Mexico, was found only in North America until the 1950-60s when a number of “pet” raccoons – which are illegal in New Mexico – were released in Germany and Japan, where their numbers quickly increased. They were also introduced onto the Russian landscape as a furbearing species. Part of the reason people released these “pets” was likely the burden associated with caring for them. 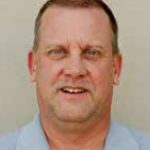 “Providing a proper diet is not simple and adult raccoons can become destructive and can carry a number of diseases that can be passed to humans,” said Rick Winslow, bear and cougar biologist for Game and Fish. The largest in the Procyonidae family (ring-tails and coati also occur in New Mexico), raccoons generally reach lengths between 1 ½ to over 2 feet and weigh 8 to 20 pounds. Such a diverse weight range is because how big a raccoon gets is directly proportional to available food. The largest raccoon ever recorded – and there isn’t a close second – weighed in at a beefy 62.6 pounds and was well over 4 feet long. While encountering a raccoon that size is unlikely, they are known for their eating habits. As an omnivore, the raccoon’s food intake is quite varied, and some consider it to be the quintessential omnivore, consuming fairly equal amounts of invertebrates, plant food and vertebrates. And, it certainly won’t pass up a free meal, such as road kill. Admittedly, road kill wasn’t readily available over 100 years ago, but that just goes to show the impact humans can have on wildlife; negatively and positively. Human modifications to the landscape have altered the raccoon’s habitat. “At one point in history this animal was closely tied to riparian areas with climbable trees,” Winslow said. Raccoon population densities are believed to be 20 times higher in rural areas, possibly due to the availability of human garbage. However, the raccoon’s keen sense of touch means being near water remains the best location to find them. Raccoons are extremely adept climbers and have the ability to climb back down headfirst by rotating the hind feet so they point backwards. This cunning raccoon navigates a tree in search of food. NMDGF photo. “one who scratches with his hands.” And its scientific name, “Procyon lotor,” means “washer dog,” which is a bit odd considering this animal is more closely related to a bear than a dog. In the 1830s ,the raccoon became the emblem of the long-defunct political Whig Party. Whigs. The name seems a bit ironic considering the iconic coonskin cap made famous by Davy Crockett. The presence of the coonskin cap on television in the 1950s created a demand for raccoon pelts, but this choice of hat is more Hollywood than fact: There is no evidence Davy Crockett ever wore one.